the daily be: see: that's it! sadly, this is the last IT list of the year. but, it's been fun sharing the link-love with all these lovely ladies! thank-you to jill for putting this together each week! 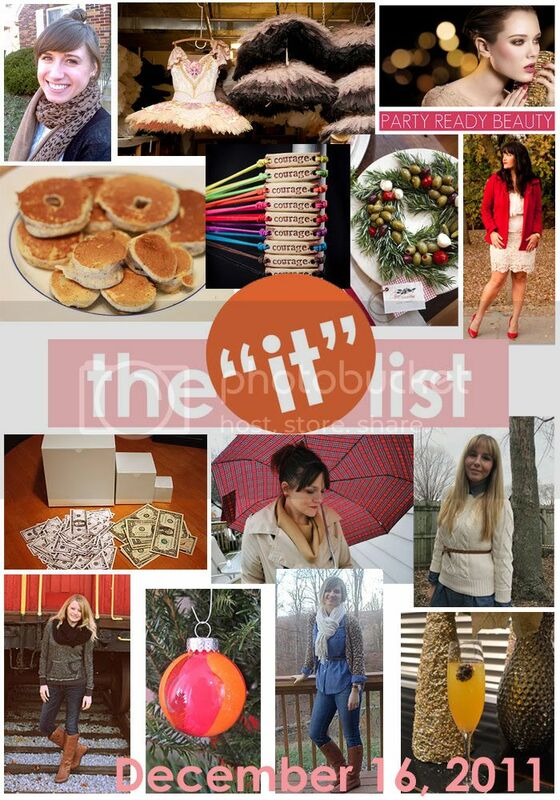 The IT list is signing off for 2011... But we'll be back in 2012!Enjoy these links in the meantime! life told by leslie is sporting an adorable leopard print cardigan. I've got to get one of these - see how she styled it! the tiemann girls have a really fun way to give the gift of cash this holiday season. See how they do it!